What is meant by sourdough? 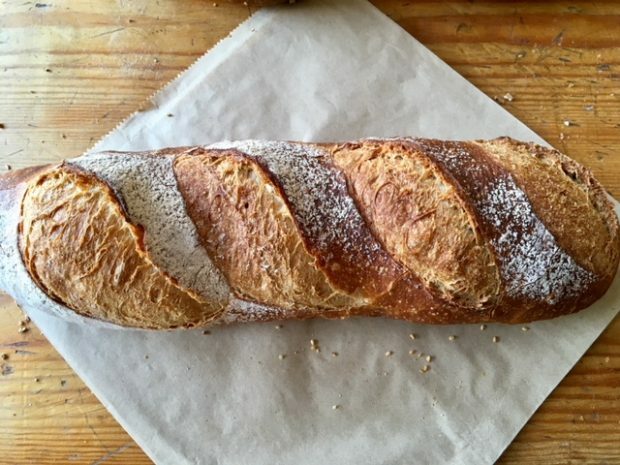 What percentage of brown and white flour is used? In our sourdough there is 20% ye flour and 80% wheat flour. Is any bread gluten/wheat free? We do not yet bake any gluten/wheat free bread. Is the bread ok for people with nuts allergies? All the bread may contain traces of nuts and some contain nuts. Does any of the bread have dairy in it? Does it contain eggs? None of our bread contains any dairy or eggs, only the focaccia contain oil. Is the bread made here? 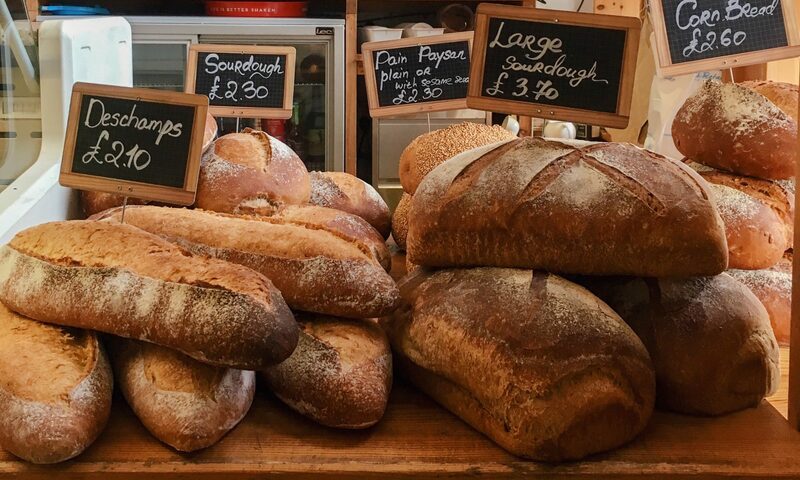 All our bread is freshly baked overnight in our bakery in the jewellery quarter. Do you do produce rolls/cobs/baps? Can you slice your loaves? Yes we will be happy to hand slice it for you. The bread can be frozen but will not come out the same as fresh bread.